UPDATE | The Barangaroo Delivery Authority today released the Request for Proposal (RFP) process to seek an experienced and highly qualified team to provide master planning services for Barangaroo Central. Submissions will close at 2pm (Sydney Time) on Wednesday 26 September 2012. The RFP is available for download at Barangaroo Delivery Authority. An international search is on for a masterplanning team for Barangaroo’s 5.2 hectare central precinct. Barangaroo is a 22 hectare former container port on the western edge of Sydney’s downtown district. The Barangaroo Delivery Authority (BDA) is searching for the world’s best in urban planning, urban design and architecture professions. “We are looking for a world class team, with the skills and experience to collaborate with the Authority to provide master planning services that achieve the vision and objectives for Barangaroo Central,” said John Tabart, CEO of the Barangaroo Delivery Authority. Barangaroo is Sydney’s vision for a new global financial hub including the Headland Park design by Johnson Pilton Walker & Peter Walker Partners. 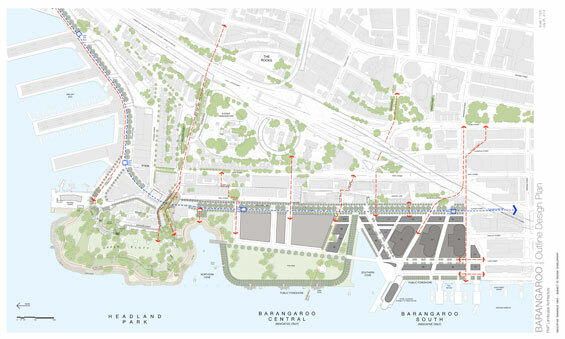 On Thursday 30 August 2012, the Barangaroo Delivery Authority will release a Request for Proposals (RFP) to seek an experienced and highly qualified team to provide master planning services for Barangaroo Central. The Request for Proposal documentation will be available from Thursday 30 August 2012. Submissions will close at 2pm(AEST) on Wednesday 26 September 2012. 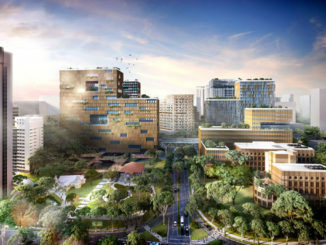 Following lodgement the Authority will conduct detailed assessment and evaluation of proposals, with appointment of the master planning team targeted in time to commence work in the first quarter of 2013.